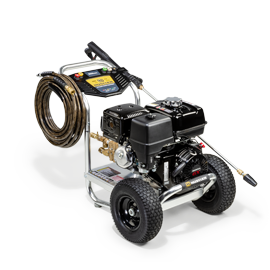 Every time you fire up your lawn mower, you have an opportunity to either help your lawn or hurt it. Mowing your yard on a regular basis promotes healthy turf, but it's also important to understand that poor mowing habits can do more harm than good. Here's how to make sure you're keeping the grass green, clean and healthy every time you mow the yard. When you glance over at your neighbor's lawn and notice the perfect mowing pattern, just remember there's no need to be envious. You don't need to hire a professional landscaper to get that professionally cut look, especially when the tools and know-how to do it yourself are right at your fingertips. Looking for a way to spruce up your front yard? You don't need a fortune—just come creativity and a willingness to try something new. With spring right around the corner, now is a great time to try these simple, head-turning front yard landscaping ideas. The EPA estimates that America produces more than 34 million tons of yard waste every year, about half of which is grass clippings. That accounts for around 20% of all the garbage produced in the U.S. annually. A shocking amount of that waste—more than 10 million tons—goes straight to the landfill. There has to be a better way. Choosing a lawn mower comes down to one simple truth: you need the right tool for the right job. Whether you're a homeowner with a small patch of grass, or a lawn care pro looking to cover many acres in a day, finding the right type of lawn mower is crucial. Most lawn mowers fall into three basic categories, but there are a few other factors to consider as well. It's easy to look across the street at the house with the perfectly trimmed shrubs, flawless flower beds and immaculately clipped grass, and be just a little jealous. Who has the time, let alone the budget to hire a team of professional landscapers? There are a lot of good reasons to avoid mowing wet grass, but sometimes there's no way around it. If you're faced with a need to mow your lawn despite wet conditions, it's important to understand the potential risks, and how you can avoid them. Here's what you need to know about mowing wet grass. If you're in the market for a new lawn mower, you've probably noticed that you have a lot of options. From simple push mowers and steering-wheeled lawn tractors to commercial grade zero-turn mowers, there's a tool for every job. Now it's time to pick the best one. Maybe your lawn mower has been sitting out in the shed all winter long. Maybe it was running fine just the other day. Either way, when you're staring down a yard of grass that is begging to be mowed, the last thing you want is to discover that your lawn mower won't start. You don’t want to end up cutting your grass with a pair of scissors! 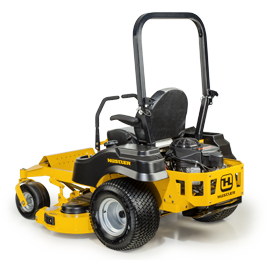 Hustler® manufactures zero-turn mowers for the residential and commercial mower markets. We also produce an innovative side-by-side product, released in 2017. Our strength, innovation and performance set the industry standard. Hustler® Turf – Engineering Performance.